A stay at Hostal Tokio places you in the heart of Madrid, within a 15-minute walk of Plaza Mayor and Plaza de Espana. Featured amenities include luggage storage and an elevator (lift). 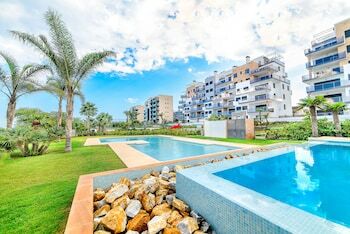 Located in El Puerto de Santa Maria, Ancla Real is by the sea, a 3-minute drive from Santa Catalina Beach and 8 minutes from Real Club de Golf Vista Hermosa. Free self parking is available onsite.